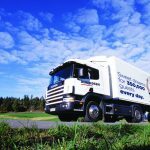 Eco-driving tech - what does the future hold for business fleets? While driverless cars continue to grab the headlines, there are lots of other highly sophisticated new technologies currently in development, all aimed squarely at creating safer, greener fleet driving. 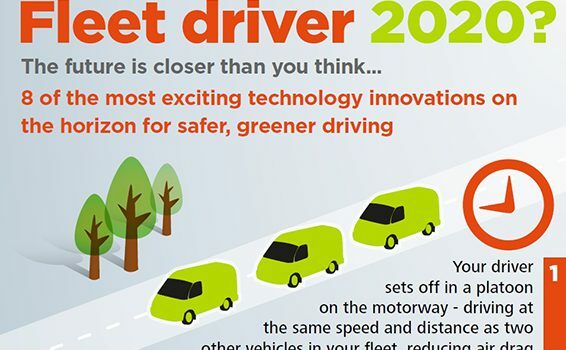 From motorway ‘platooning’ and predictive mapping to highly accurate coasting alerts, we reveal eight of the most exciting eco-driving innovations just launched or on the horizon, in our Fleet Driver 2020 round up. For a more detailed look at the future, read our recent top 10 telematics innovations blog. Want to get greener now? 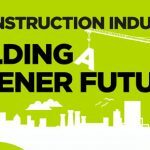 Read our 3 options to green your fleet guide. Looking for ways to reduce your fuel costs? Read our top fuel saving tips for businesses. Do you want to know how your vehicles are being driven? Check out our research on driver behaviour across Europe. 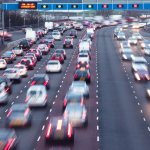 Are you doing enough to manage your fleet’s road risk? Find out what other UK businesses are doing in our reports on car fleets and van fleets. I have a tomtom go 6000 how can I make my nav use motorways instead of going through villages or in London use the North Circular (A406) instead of going through the city. Is there any way to add a function or button (use motorway)? Hi Rolf. Thanks for your message. Could you possibly contact the TomTom support team with your query please? This can be done via phone or email (https://uk.support.tomtom.com/app/contact), @UKTomTom on Twitter or on our Facebook page (https://www.facebook.com/UKTomTom/). Thanks.